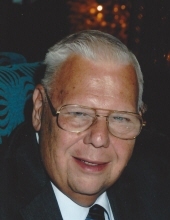 A Bardstown resident, Mr. John H. Werkman, 74, passed away Monday, December 3, 2018 at Landmark of Bardstown. He was born on August 18, 1944 in Louisville to the late John B. and Lillian Marie Wahler Werkman. John was retired from civil service being a systems education specialist at Ft. Knox for 30 years and was a member of St. Joseph Catholic Church. John is survived by his wife Mary “Geri” Wimsatt Werkman, 4 daughters, Diana Werkman of Bowling Green, Julie Anna Werkman of Davenport, Fl, Laura Marie (Brad) Peterson of Moreau, NY, Erica Lynn (Scott) Atkinson of Sarento, Fl, and his 3 grandchildren, Mackenzie Gross, Nick and Nate Peterson. Cremation was chosen by the family and a memorial prayer service will be 5:00pm Saturday, December 8, 2018 at the Houghlin-Greenwell Funeral Home with Reverend Mihn Vu officiating. Visitation will be Saturday December 8th from 2:00-5:00pm at the Houghlin Greenwell Funeral Home, 1475 New Shepherdsville Rd., who is in charge of arrangements. The family request that contributions be made in the form of donations to the Salvation Army. To send flowers or a remembrance gift to the family of John H. Werkman, please visit our Tribute Store. "Email Address" would like to share the life celebration of John H. Werkman. Click on the "link" to go to share a favorite memory or leave a condolence message for the family.